Classic country design elements are utilized in the Sutherlin Grove Collection. Turned with fluted accent, the legs have a black finish and rise to support the natural cherry finish of the tabletop. The coordinating, black finished, chairs have beige fabric seats that provide a lovely contrast to the two-tone finish. 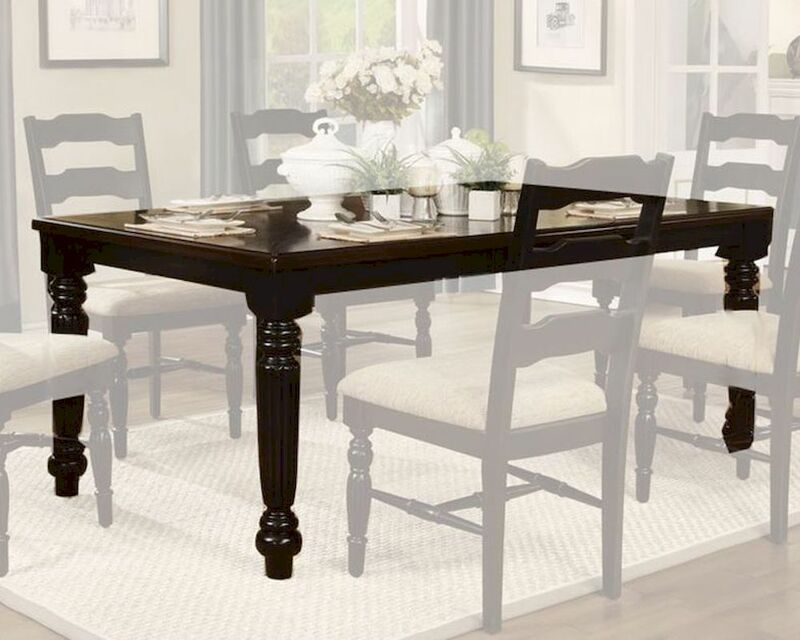 Scaled for your casual dining room, and designed with your desired country aesthetic in mind, the Sutherlin Grove Collection will be a classic addition to your home.